We had the opportunity to host a large group of business owners last month who were at all different stages of their journey in exploring or becoming a B Corp. Our B Corp journey was recent enough that I remember how many of those in attendance felt. It’s a mix of early optimism (‘we’re a great company, so I’m sure we’ll have no problem with this’), followed by reverence for the assessment tool (‘wow, this is an amazing representation of what it means to be a socially responsible company’), transforming quickly into the realization of the extreme challenge ahead (‘wow, this is going to take some serious effort to achieve’). 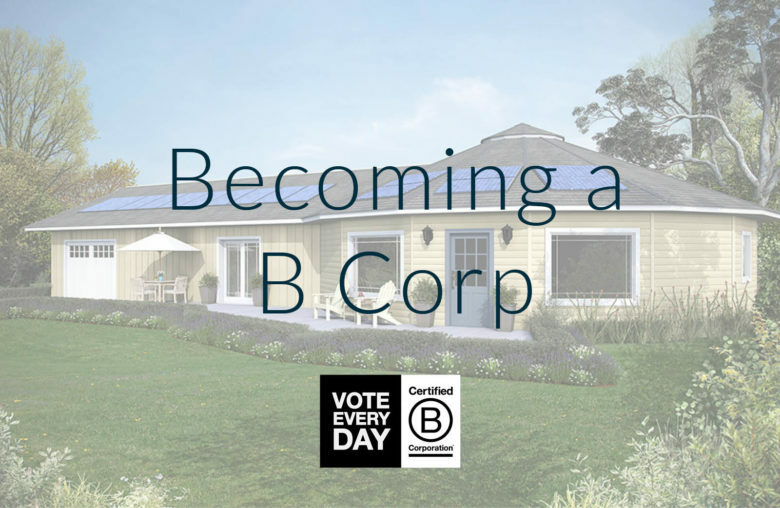 We all know that nothing worth having is easily had, and as much as I wanted to become a B Corp by “acing” the entrance exam, I quickly realized that this was not another marketing label, but an authentic and aspirational system. A system that’s not an afternoon activity, but rather a lifelong ambition. A system to push those of us with a vision beyond where we are today to become business bricoleurs: creating tomorrow’s best version of our companies with what we have at our fingertips today. We filled out our quick-impact assessment in April of 2015, and our certification was finalized in February of 2016. There were a lot of steps in between, but the people at B-Lab offered an amazing amount of support as we went through the process. Simple Answer: Yes, I would go through this again in a heartbeat. Detailed Answer: We have seen a very meaningful and measurable response from all of our stakeholders. Employees are proud to work for a company that cares about them as much as it cares about profits. Customers now have a deeper understanding of Deltec stands for, and in turn our bar has been raised on how best to engage customers. We have had twice as many interviews, articles, and stories this year than we had in all of last year, allowing our story to be told to more and more people. We have had more qualified applicants for new positions than ever before. And we’ve codified and preserved our triple bottom line values into the company’s DNA. It’s only through breaking down everything we do and putting it all back together with the guidance of the B-Corp process that we were able to get to the point where we are today. Who’s next?